Disclaimer: Some of you might already know what SEO is, so you may want to skip this section, but for you that DO NOT know what SEO is, I suggest you start here. SEO stands for search engine optimization. In simple terms, SEO is the system Google uses to read websites and rank them in search queries based on relevance, authority, and web content. This impacts your websites online visibility through organic search results and is usually one of the key traffic factors to your website. So why is SEO important? Well, let's think about a time where there was no internet and you are in the market for a new bicycle. Your best option was most likely to open up a phone book book and look for ‘bike shops’ section. Then you find a list of several bike shops around start calling the stores to ask if they have the lightning blue bike with the red stripe down the middle you are looking for. Now imagine Google is that same phone book, just online, and you search for ‘bike shops’. The next thing you see is google providing you with a ton of options of bike shops around you and links to their websites. Granted, you can also call the bike shops, but let’s face it, we do not like to talk on the phone anymore if we can just take a look at your website and see actual images of your inventory. There you can see which bike shops have that blue bike or not, and compare prices. Having a website today is not enough, so an SEO strategy is crucial to ensure consumers can find your website and convert them into customers before they move on to your next competitor. Which ranking factors do I need to pay attention to? There are several free tools online you can use to analyze your website’s SEO score. Some of the most popular ones include Woorank, NeilPatel, and Sitechecker. They will all evaluate 4 elements crucial for website indexing and even give some recommendations as to how can you improve your current SEO score. What can I do to help boost my SEO score? Small businesses sometimes have limited resources, that’s why being as frugal as possible is always a priority. With that in mind, an SEO strategy usually falls in the back-burner or just an expense that becomes really hard to justify. Let us flip the table and what if I told you that there are actually some easy and cost effective edits you can make to boost your SEO? Would you be interested? Well I will tell you anyways and allow you to take a stab at it. First you need to Identify all of the image, script, CSS, and extra html files in the back end of the site. Once you have found all of them, evaluate the size and weight of these files. Websites tend to have super high quality images that are extremely heavy and large in size. Having an Ultra High Definition image on your site is not crucial, and an HD version of it will be more than enough as well as help lighten the back end files. Same goes for some of the java-script and CSS files which include some of the website formatting. These files can be compressed to save large amounts of space. Dynamic websites are websites that will adapt to different screen sizes as well as devices. For Google, it is imperative that websites are dynamic and responsive because this allows them to deliver smooth and easy navigation to users. Creating a dynamic website is dependent on weather you use a template for it, or create it from scratch using HTML, CSS, and other programming languages. If your case is the ladder, you will need your web developer’s help to add that dynamic element. If you use templates, then all you have to do is search for dynamic/mobile responsive templates that will be super simple to implement and customize to reflect your current site. Google does not rank you based on just keywords anymore. Google evaluates your website from a content and relevance point of view. This means that bombarding your site with single keywords is not an option anymore, instead, you want to create rich and relevant content to what your website. You want to create content in the form of blog posts and articles rich with long-tail keywords that really answer consumers questions. Backlinks serve as referral sources that increase your website’s reputation. The more backlinks to have, the more Google will see you as a reputable source which people find relevant enough to share your content on their sites. There are a few simple ways you can start increasing the number of backlinks to your website without having to spend much money if any at all. Share your content on social media platforms, through groups, business pages, and sharing it with your networks. Join online forums relevant to your business industry and share your content there with people that will find value and share it further. In the end, there are things you can start doing today to boost your business's online presence and ensure consumer can find you. Now you can start implementing these elements and even have some free online tools to help you keep track of your progress. If you have any questions, feel free to reach out at dbaca@dmgthrivehive.com for additional support. Dispatch Media Group (DMG) offers tried and true techniques to build out targeted strategic campaigns, allowing you to reach both active and passive candidates where they are with an intriguing message to help attract the talent you so desperately need. Consulting with a trusted digital specialist can make this process easier for any business. 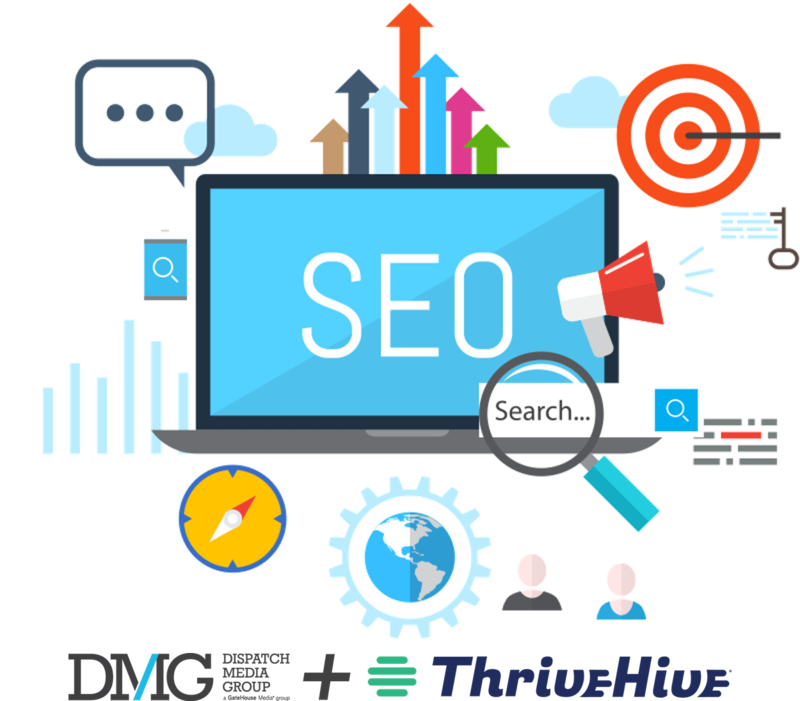 Contact DMG+ThriveHive today to help you grow your business with a strategic digital approach. 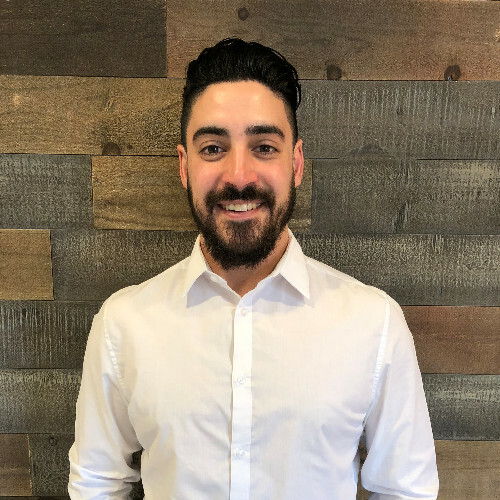 Daniel Alejandro Baca Digital Marketing Strategist with the Dispatch Media Group. If you have marketing and advertising needs, I would love to chat with you and see how I can help your business find the right audience with the right advertising medium. Feel free to reach out via email at dbaca@dmgthrivehive.com or call (915) 727 - 4379.